 Poly Pet Co., through its focus on achieving and maintaining an immaculate reputation, has been able to create alignments with both local and international companies to assist in the assembly of an entire packaging solution. These include labels, boxes, bottle caps and also entire contract packaging solutions for the beverage, household and industrial industry. We are committed to making the world a better place for future generations. We strive to conduct ourselves and our business practices in alignment with our core values and hold ourselves to a higher level of accountability which extends past the boardroom. We also offer the execution of design and manufacture of exclusive bottles that only one customer can use. With a low investment, you can differentiate and highlight your products from the competition at the Point of Sale. We offer consultation services to determine the size and type of our standard bottles that best suit customers needs. Application of labels to a bottle. Both one label and double label applications. We recommend caps to be used for each of our various bottle shapes and we also source and provide if requested.